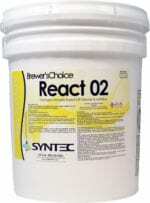 Cleaning and Sanitation in the brewing environment is critical to the success of any establishment and good brewer. Understanding the high standards required to do this is as much our job as it is yours. We are not just a supplier of cleaners but instead a provider of cleaning solutions. We will work with you and for you to make sure you are not just meeting standards, but exceeding them. With our Brewers choice line of products and our full staff of consultants, we can come to you for and in-plant service visits, education on sanitation procedures and maintenance services. From a safety perspective, the craft beer industry is rather fortuitous that pathogens cannot sustain life in beer with normal alcohol content, carbonation, bitterness, and pH. However, sanitation is the key step in the brewing process and must be repeated as recommended to protect your brand. Sanitation is crucial and it is important to align yourself with a supplier that will ensure that you are sanitizing safely and effectively while minimizing cost. Cleaning proceeds sanitation and prepares the way for sanitation treatment by removing organic/inorganic residues and microorganisms from the brewery equipment. Our powerful cleaning agents are formulated with surfactants, chelating agents, and emulsifiers to enhance the effectiveness of the products. We have a full line of sanitizers for each step of the brewing process. After surfaces have been completely cleaned and rinsed, a sanitizer cycle will ensure that unwanted microorganisms are reduced to acceptable levels in brewing. Anything that comes into contact with yeast must be sterilized. The wort coming out of the kettle has been through the boiling process and is reasonably sterile. However, if the wort cooling system is soiled in any way, contamination can develop before entering the fermentation vessel. Microorganisms can exist in the air around us, and often associated with dust particles or moisture within the air. They can also be introduced into an environment by pests such as insects or rodents. It’s absolutely imperative that a clean area is kept in a brewing environment in order to minimize contamination. If possible, cover any and all vessels or containers to reduce the hazard of an airborne contamination. Any surface that comes into contact with wort, yeast, or beer, should be efficiently cleaned and sterilized (vessels, pipes, equipment, etc.). Contaminated surfaces can facilitate microbiological growth resulting in its introduction into the beer. Frequent contamination may indicate the development of biofilm. Biofilms can be incredibly difficult to clean as they affix to the sides of the vessels or pipes. The contamination must be contained before effective cleaning measures can be taken. Contaminants will likely cause off-flavors, acids and unpleasant odors. They can cause beer to become hazy and / or develop film. These contaminants may contend with the production strain for crucial nutrients. They can also lead to stuck fermentation or extremely thin beers. The two leading groups of microorganisms culpable for contaminating wort and beer are Wild Yeast and Bacteria. Wild Yeast......Any yeast occurring naturally in the air or on surfaces, unlike those selected for brewing. Contamination may occur if the pitching/cropping yeast is in contact with air carrying con. Wild yeasts can not be killed by an acid wash and thus any production yeast contaminated with wild yeast must be disposed of to avoid consumption / defective product. Bacteria.....Will grow rapidly in wort and beer—fresh wort must be pitched immediately with an active yeast to avoid bacterial growth. Bacteria can cause undesirable flavors and contend with yeast for vital nutrients.